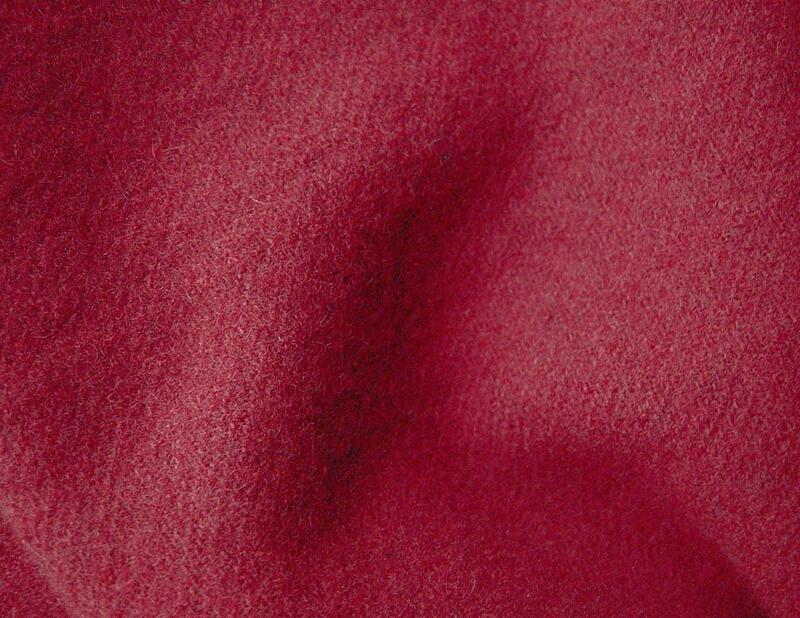 I chose burgundy red for this new hand dyed felted wool fabric and used professional dyes with Woolrich fabric right off the bolt. 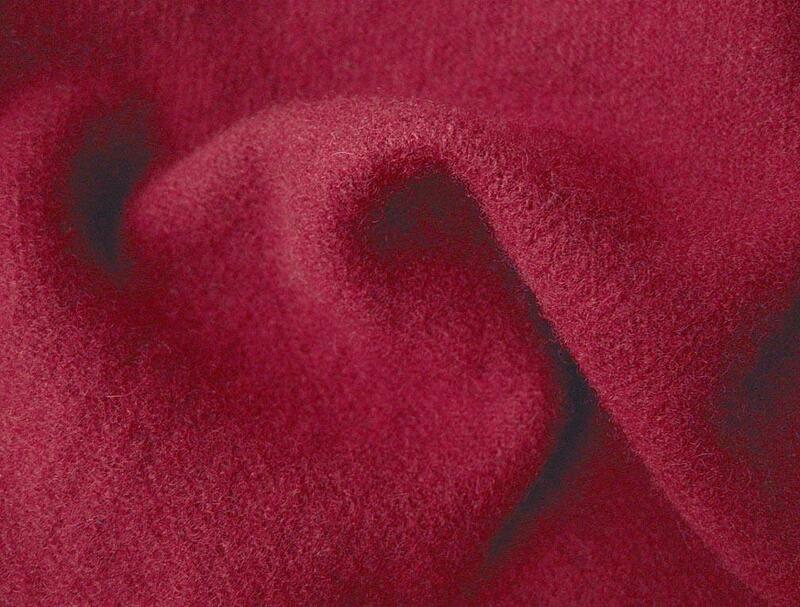 Made in the USA, these wool fabrics weigh about 13 ounces per yard and are moth proofed at the mill. The wool wasn't boiled and it is very soft, supple and fluffy. The fabric measures 9.5" wide x 17.5" long and these are the actual dimensions taken after dyeing and felting. I photographed a larger piece of the wool in natural light without flash.